In the annals of the online gambling affiliate sector, Catena Media will rank among the biggest and most successful. Labelled as a Web consultancy firm, the focus was on lead generation for online gambling operators. In the first quarter of 2017, revenues totalled EUR 15.23 million (7.46), an increase of 104 percent compared with the same quarter of the previous year. 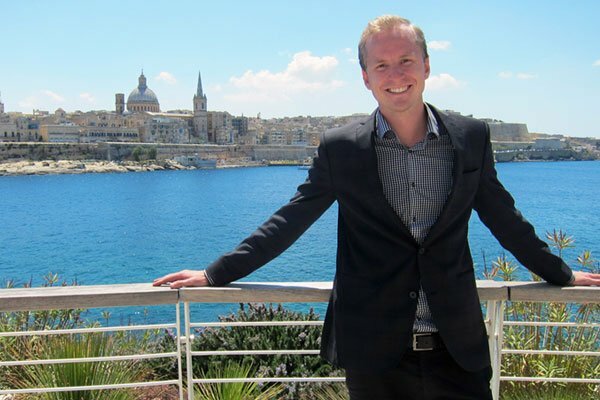 Erik Bergman along with his childhood friend Emil Thidell co-founded the Maltese-based business in 2012. The two men were so close they were born in the same Swedish hospital hours apart to parents who were friends. The company's success was almost immediate. It is not uncommon for top online gambling affiliates to generate $100,000 or more a month. Catena, as already noted, today takes in several times that number. Erik eventually sold his ownership in the company, making $15 million in a single day having taken the firm public. He remains a shareholder in the Catena Media. As Bergman describes it, after two weeks of sitting on all this money, the 28-year-old felt empty inside. Money apparently did not buy the young entrepreneur happiness, at least not until he started putting it to good use. Bergman embarked on a crucade to better the world, first by aiding in the construction of a school in the Western African nation of Ghana. He brags in a video presentation of how his newly built school stands out with its vivid colors, the kids want to learn, and they don't get beaten as is the case in the more drab run down school house nearby. "I have no need for more money," he tells Gambling911.com. But Bergan boasts he is "really, really good at making money", a trait we all wished we had. This is where Great.com comes in. The Swedish businessman purchased the easy-to-remember domain name for pocket change (Erik's pockets that is, $900K), and is developing a charitable organization around it that will employ some of the proven techniques that helped make Catena such a massive success. Broken up into four key sections, Great.com will first focus on what it does best: Drive online casino traffic to casinos. "We want to work with no more than 20 online casino groups and provide indepth reviews for each," Bergman said. Instead of the affiliate income lining Bergman's pockets, much of the revenue would go towards charity. He disclosed that a certain percentage would need to go to staffing and other overhead. The casino operator can claim they are working to be charitable as well, though long time readers of Gambling911 might find some irony in that assertion. Erik sums up his desire via a brief video introduction. Growing up, I went to a rich and fancy school – but I wasn’t rich and fancy. I was just an ordinary guy. This made me feel like I wasn’t good enough and gave me a big hunger for money. I wanted to prove myself! After graduating, I started many different companies. Two years ago, one of those companies was listed on the stock exchange. I made $15 million in one day. I felt like I was the king of the world – I had made it – but the feeling didn’t last. Pretty soon, I felt empty again and knew something was missing. This is the story that turned everything around. The story that changed my life. Some will find this all sickeningly sweet, but Erik's hunger for building another lucrative business will be fully recognized here. For all the good Bergman wants to do, he ain't no Mother Theresa. Great.com's four section would include the support mechanism, Casino Affiliates, as well as Charity, other industry affiliate drivers (not yet given a specific title), and Organiation. Ultimately, Bergman desires his business model to mirror something along the lines of a Ted Talks and this is where that later section, Organization, comes into play. Great.com would teach affiliates in all sectors how to make money but encourage entrepreneurs to give back to organizations they are most fond of. One of the sections on Great.com will deal exclusively with teaching others how to run successful businesses without burning out. That's exactly what happened to Thidell, who ultimately wound up in the hospital due to exhaustion. Bergman also admits to having burnt out. Erik strives to search for the very best people to be part of Great.com, even if it takes him a lifetime. "In my utopia of an organization, employees have full flexibility. It would be built on trust. The employee can set up their own salaries." Sounds great in theory, but the reality is that most folks will seek the greatest salary possible. "I don't know how to get this," he admits. "If there is a way for people to set their salary, I want to find out how to do this. It would have to be fair. Most people will not be able to take on this type of responsibility. How do I attract a person who can do this?" The type of individual would likely be someone in Bergman's current situation, though there are not many of them sadly. Great.com would support a "stress free" environment. "We want our employees to feel safe and supported." While it should prove easy to develop relationships with top online casinos and get them to promote charitable efforts, Bergman hopes that fellow affiliates will do the same. "We want to inspire people to do good. (There are) lots of affiliates out there who want to do good. Even if we can encourage them to donate 1 percent of what they make each month." In addition to Search Engine Optimization, Bergman is a true believer in podcasts, his favorite being the Tim Ferriss Show. Ferriss, described as this generation's "self help guru", claims to have had his podcast downloaded 300 plus million times. "I want to be on this!" Bergman proclaimed. He'd be in good company. Ferriss past guests include the likes of Arnold Schwarzenegger, LeBron James, Ray Dalio, Doris Kearns Goodwin, Edward Norton, Tony Robbins, Maria Sharapova, Jamie Foxx, Maria Popova, Peter Thiel, Marc Andreessen, Amanda Palmer, Malcolm Gladwell, Vince Vaughn, Rick Rubin, Reid Hoffman, Jon Favreau, Whitney Cummings, Mike Shinoda, and 300+ more. Podcasts not only attract large numbers of listeners across the Web, some have transformed into arena-like experiences. Case in Point: My Favorite Murder, the hit true crime comedy podcast hosted by Karen Kilgariff and Georgia Hardstark, recently hosted a show in Seattle that drew a line of people wrapping around several city blocks. Yours Truly witnessed this with his own eyes and just assumed they were all standing in this mile long line on a chilly evening to see one of the world's largest rock bands perform, maybe the Stones, U2, Pearl Jam (being that they are from Seattle). No, it was a podcast duo! "Podcasts generate a lot of links. You can listen to them for an hour while walking, while in the shower," Bergman explains. "You can get into the podcaster's mind, his or her feelings, you can't get into that by reading." Erik confessed he had hoped this particular interview would appear as a podcast on the Gambling911.com website. One should expect to see the Great.com platform include plenty of them, hosted perhaps by Bergman himself. "Yes!" the Swedish businessman proclaimed when asked if he would like to be one of the biggest podcasters. What about the dream guests, those who inspire Bergman the most? He was quick to name Scottish philosopher, ethicist, and one of the originators of the effective altruism movement, William MacAskill. Bergman stated that, while MacAskill is a great speaker and does an excellent job of inspiring people, he does not necessarily know how to make money. Bill Gates, on the other hand, does. "He's actually the person who probably inspires me the most," Bergman admits, referring to Gates. "He's a bigger role model I think. Bill Gates has money." And, as Erik noted, he gives so much of that money to philanthropic causes. "Our end goal at Great.com is to change the world for the good," Bergman concludes.